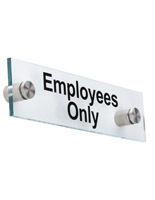 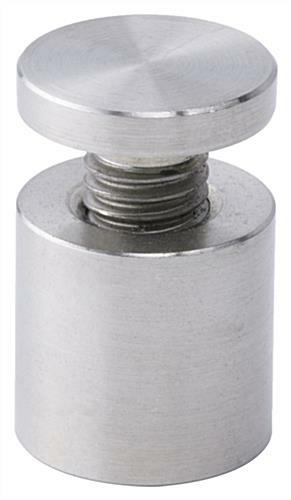 This professional door sign with silver standoffs is frequently used by decorators to elevate the decor for a businesses or corporations without spending a lot. 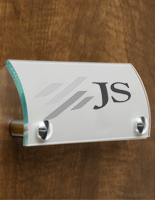 Purchased in bulk, these acrylic name plates are cheap! 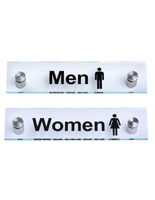 Yet they lend understated modern elegance to any setting. 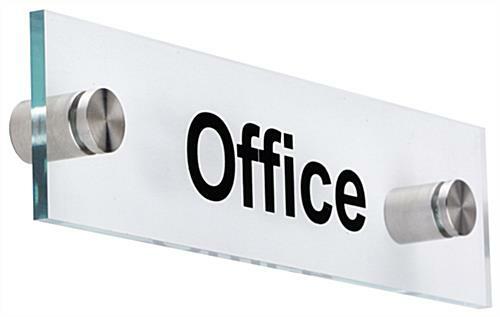 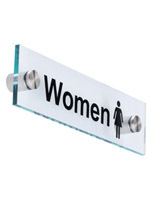 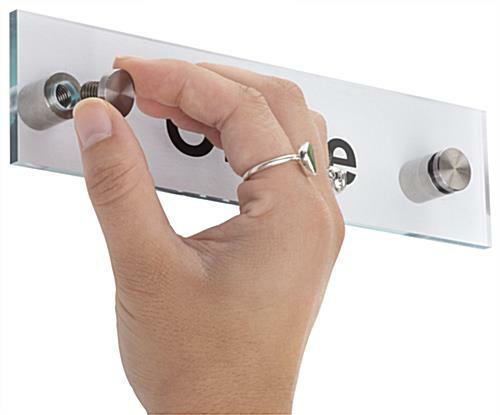 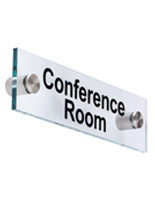 This door sign with silver standoffs constructed of 1" steel sleekly designates rooms in an office building, school, or organizational headquarters. 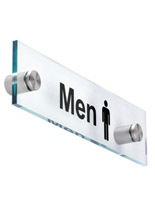 This compact signage measures 8”w x 2”h, with a low profile that causes it to stick out only 0.75” to keep a contemporary visual. 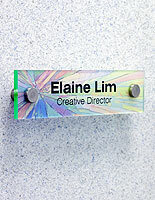 This sign with silver standoffs, also known as a name plate, has a green tinted edge for added style.